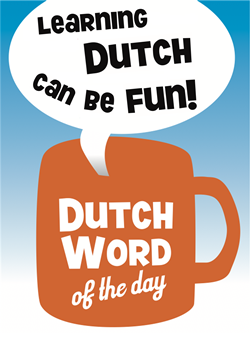 "Makker" is originally a synonym for "vriend", the Dutch equivalent of "friend". It is now mainly used for the more informal "mate" or "buddy". "Makker" and "vriend" can be used to informally and semi-friendly address a man you do not know, especially when you feel treated impolitely. This requires some experience though 🙂 Have a look at the Examples. – "Hé makker, wat wil je drinken?" – "Marc en ik zijn al jaren makkers." – "Wat maak je me nou makker! Ik zag deze parkeerplaats het eerst!" – "<bij de bakkerij:> Sorry makker, ik was eerst!" – "Dienstmakker": somebody that was in military service with you. The Dutch military service was abolished about 10 years ago. It is usually abbreviated from "militaire dienst" to "dienst". – "Maat": another informal synonym for "vriend". Friends from Londonderry always used to call each other mukker- Slang that I guess has carried over from Dutch. Nick, mukker, interesting addition! Bedankt! The use of ‘mucker’ is by no means confined to Derry. It’s quite common (if slightly outdated) British slang for a mate or buddy. It’s generally found in phrases such as “me old mucker” – see http://www.google.com/search?q=me-old-mucker for 23,000 hits! Makker (or Mucker?) is used in a similar way in (northern) German slang for “boy friend” and if you feel mistreated.